Romney was silky-smooth and Perry lackluster at the low-key GOP debate. 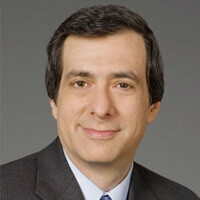 Howard Kurtz on how Herman Cain emerged as the evening’s real star. Plus, more Daily Beast contributors weigh in. I feel safe in going out on a limb here: the Bloomberg/Washington Post debate barely moved the needle of the Republican presidential race. Perry, in a major improvement over previous debates, had only minor stumbles—but then, he also scored no points. He took the dubious step of repeatedly trumpeting an energy plan that he says will create 1.2 million jobs—but offering no specifics. And in his one sharp exchange with Romney, the former Massachusetts governor got the better of him. The surprise of the evening was Herman Cain, and not just because he’s an able and colorful debater. The New Hampshire event cemented his status as a top-tier contender, as much of the conversation turned on his 9-9-9 plan, which includes a national sales tax. His rivals, with one eye on his surge in the polls, kept bringing up the plan. If you just dropped in from Mars, you’d assume the former pizza magnate was leading the field. There was broad agreement among the candidates that Obamacare and Dodd-Frank and overregulation are strangling job creation, which made it difficult for any of them to stand out, beyond Ron Paul’s Fed-bashing and Jon Huntsman warning of a trade war with China. Michele Bachmann at times seemed to be running a one-issue campaign against Obama’s health plan. Romney smoothly turned every other question back to his private-sector experience but also made a subtle shift on what had been seen as his greatest liability: his Massachusetts health-care plan. Rather than sounding defensive, Romney made the case—rare at a GOP debate these days—that Republicans have a responsibility to do something about health care. Perry didn’t get a chance to respond, but after a later question, he complained about the rigidity of the Medicaid program—although the Post’s Karen Tumulty countered by noting that Washington had granted Texas 16 waivers from federal rules. It was yet another instance of Perry failing to get any traction all evening. Perry got tangled in his syntax when trying to finesse a clip of Ronald Reagan talking about the tradeoff between tax hikes and spending cuts. “Americans are so untrustworthy of what’s going on,” he said, before explaining, with some overstatement, that Reagan never got the spending reductions he had been promised. Romney dodged the same question by time-traveling from Reagan’s era to JFK’s administration, when government spending was far lower than today. Sure it was—that was before the existence of Medicare and the EPA, to pick two examples. In a sign of respect, Cain was pressed on how his national sales tax would raise the cost of milk, bread, and beer—three major food groups. He responded by saying this would be outweighed by slicing the payroll tax. When the candidates got to question each other, most of the queries were directed at Romney, but Cain came in second. There were no killer sound bites, and with Bloomberg TV lacking the reach of Fox, CNN, or MSNBC, the debate is unlikely to linger long in the public consciousness. But the takeaway is clear: Romney remains the man to beat, Perry is still slipping, and an African-American cancer survivor once dismissed as comic relief has won the right to be taken seriously.